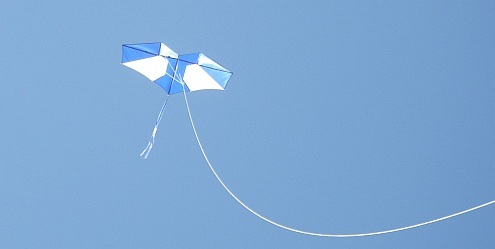 The full title for this event in 2014 was "All Ages Come And Try Kite Flying Day". Which really said it all. 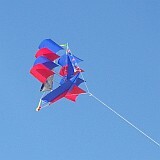 Organized and almost too successfully advertised by AKFA, the Adelaide Kite Flyers Association in South Australia. 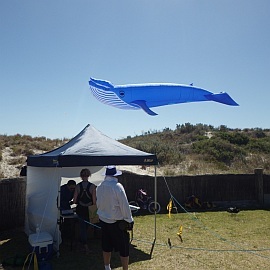 Plenty of kites were up, and their owners' cars were occupying all the parking bays. Eventually, I found a sneaky spot between 2 sets of marked parking areas and selected the 2-Skewer Delta to take down to the sand. 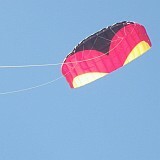 Yes, the flying was at a beach. 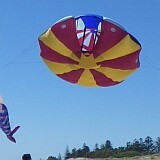 Near Fort Glanville, south of the Semaphore jetty in Adelaide. Unmissable while approaching the event by car, some familiar large show kites were floating around in winds that were just strong enough. Apparently, the breeze was very light earlier on and it looked like the whole thing could have ... flopped. 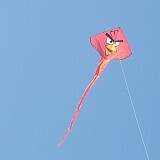 The large Genki (below) deserves special mention too, since I was most impressed with how it looked and flew! It was anchored on a 600 pound Dacron line since the kite had been over-flying the anchor point on a lighter line. Not sure what material the spars were made of, but the bright blue and white high-aspect-ratio Genki kite was both stable and efficient. An impressive rip-stop nylon wonder. 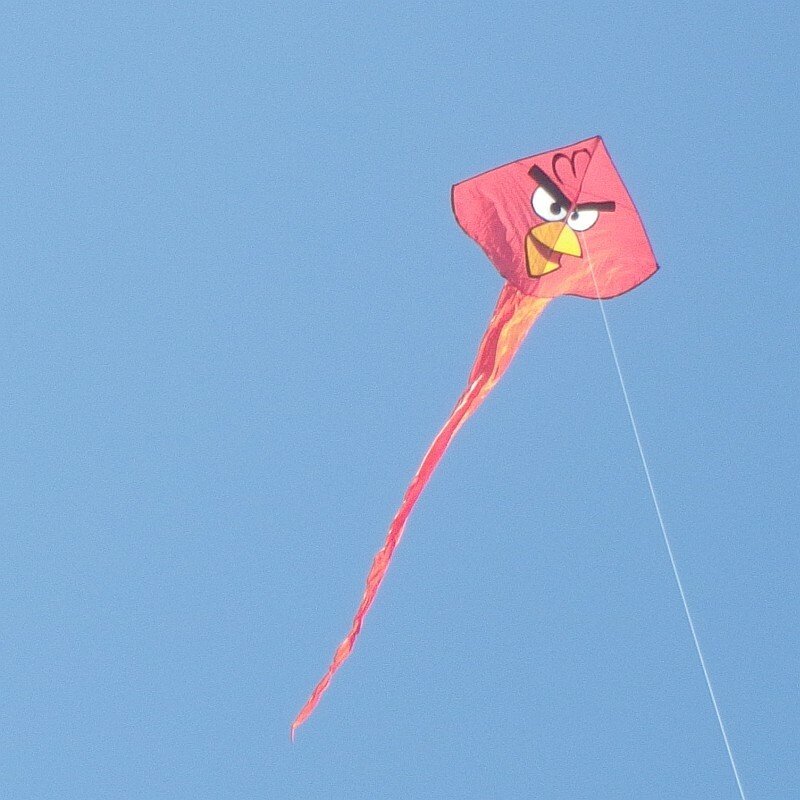 Its owner had trimmed it to fly off to one side, to keep a safe distance from some of the other large kites flying at over 200 feet. Neat trick! 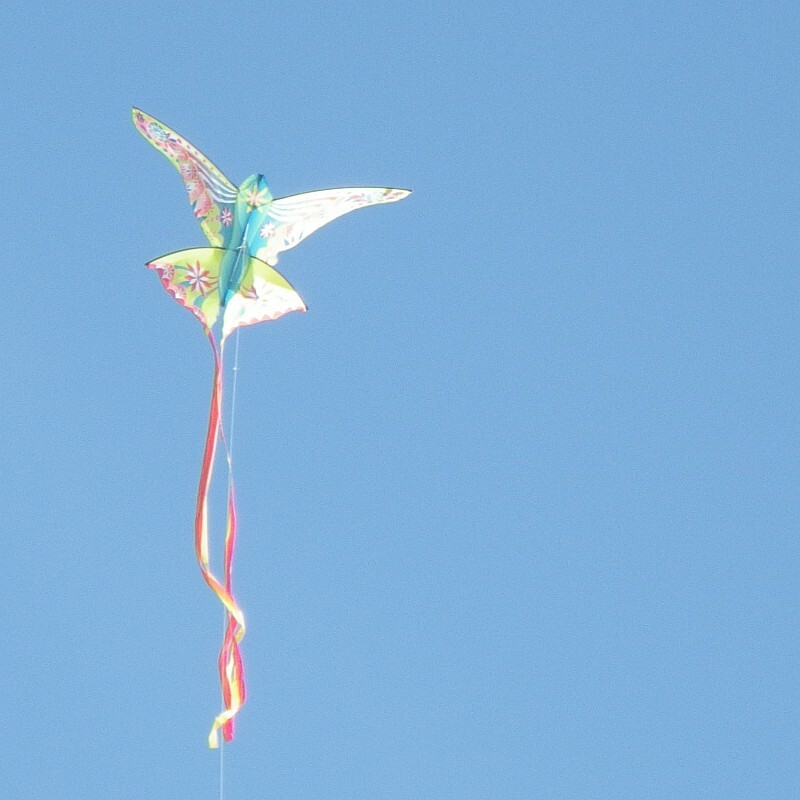 Quite a number of people had brought their own kites. 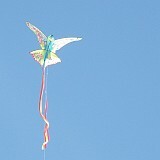 To 'try kite flying' being the main point of the event. A handful of people who were more into steerable sport kites were having a great time. One in particular was zipping about, seemingly ripping the air apart with a loud brrrrrappp sound as its trailing edges fluttered furiously. 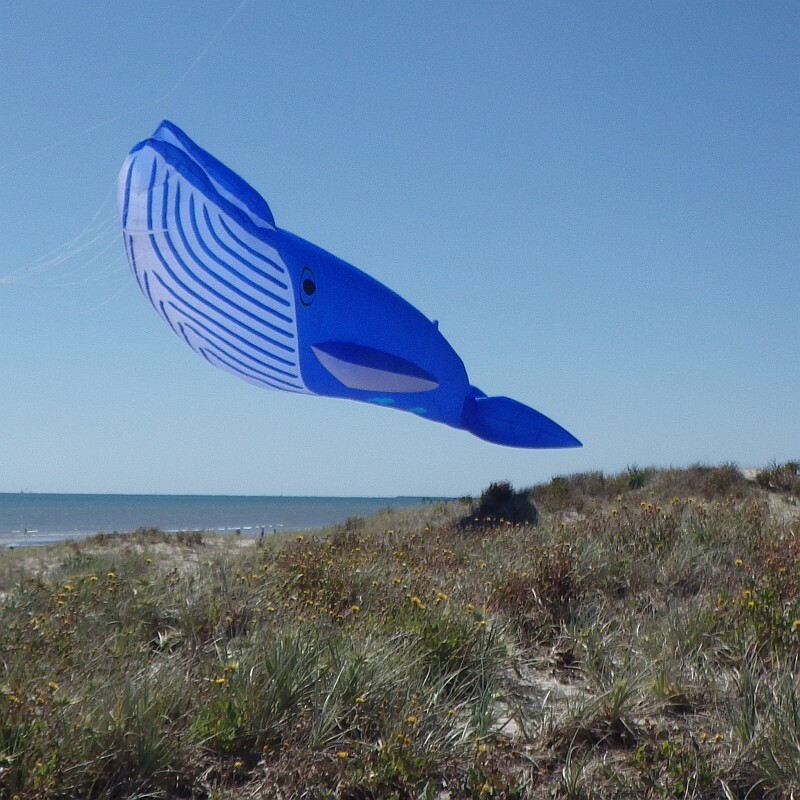 With AKFA members handing out more than 100 kite kits to the kids, it was not surprising to see quite a few of those hovering over the sand. Some anchored by very young pilots!